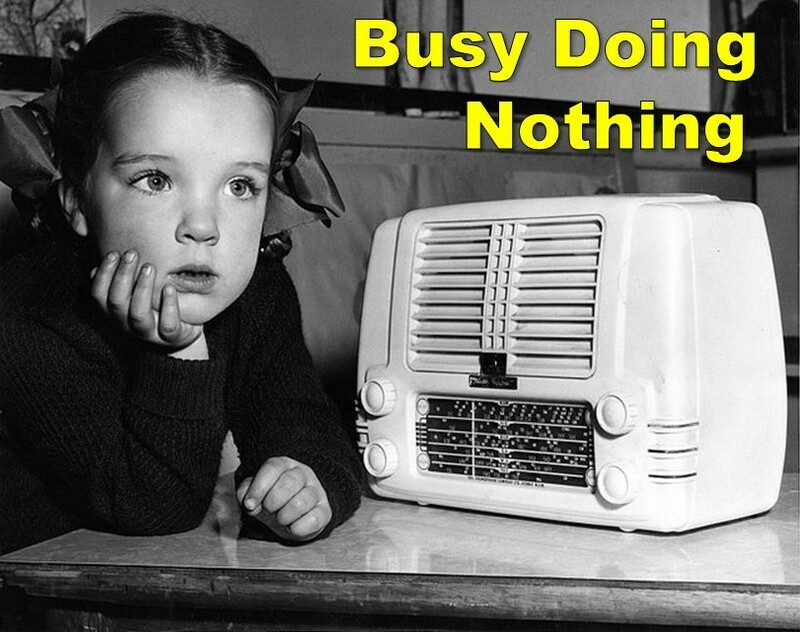 Busy Doing Nothing aired Thursdays, Noon to 2PM (eastern time), on WFMU's Give the Drummer Radio stream (2010 - 2017), and, before that, in various time slots, on WFMU (1996 - 2007). You can view playlists and listen to archives below. Go ahead and drop me a line, or drop a comment on a playlist. 16 February 2017 | Julie filled in. See the playlist here. 02 February 2017 | Meghan filled in. See the playlist here. 10 November 2016 | Bill Mac filled in. 15 September 2016 | Bill Mac filled in. 16 June 2016 | Bill Mac filled in. 09 June 2016 | Julie filled in. 02 June 2016 | Bill Mac filled in. 24 March 2016 | Julie filled in. 04 February 2016 | Meghan filled in. 26 November 2015 | Zzzzzzero Hour with Bill Mac fills in today! 20 August 2015 | Meghan filled in. 21 May 2015 | Underwater Theme Park with Meghan fills in today. Click here for playlist. 29 November 2012 | No show this week. 22 November 2012 | No show this week. Happy Thanksgiving! 19 February 2007 | Tamar filled in. 26 December 2005 | Evan "Funk" Davies filled in. 28 March 2005 | The Cosmic Cowboy filled in. 21 February 2005 | Jason Das filled in. 11 October 2004 | Rich filled in. 16 August 2004 | David filled in. 28 July 2003 | Maryann filled in. 21 April 2003 | Bob W. filled in. 17 February 2003 | Rich filled in. 11 November 2002 | Trouble filled in. Thanks, Trouble! 16 September 2002 | Bob W filled in. Thanks, Bob! 28 March 2002 | Trouble filled in. Thanks, Trouble! 10 January 2002 | Eva Neuberg filled in. Thanks, Eva! 28 June 2001 | Robin filled in. Thanks, Robin! 29 January 2001 | Bill Zebub filled in. Thanks, Bill!